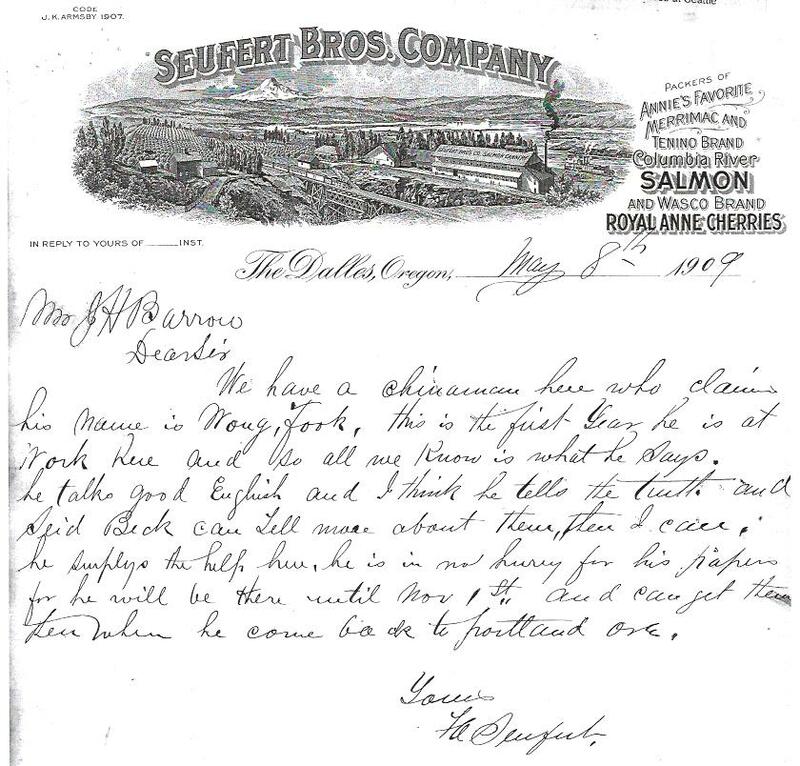 Seufert Bros Company letter, 1909, Chinese Exclusion Act case files, RG 85, National Archives-Seattle, Wong Fook file, Portland, Box 5, Case 1700. This letter is from Wong Fook’s employer. Wong Fook lost his original certificate of residence about 1901 or 2. He reapplied about three years later and received a duplicate certificate. That certificate was destroyed in a fire on 12th April 1909. Seid Beck (sometimes spelled Back) was a merchant and labor broker in Portland.